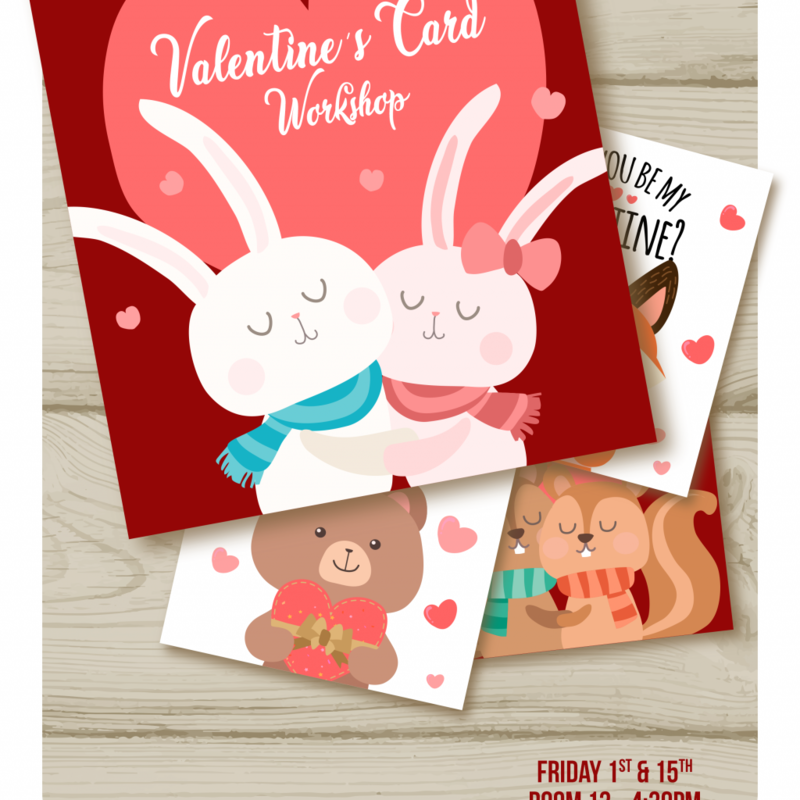 In this class, the students will learn how to make some incredible Valentine’s cards. So if you want to impress your valentine, this workshop is perfect for you. It will start at 4:30 pm in room 13 on Friday 1st and 15th. This time of the year is also very important for the Chinese community because February is the month that they celebrate their New Year. Of course, we wouldn’t let this date passes by without celebrating it properly. 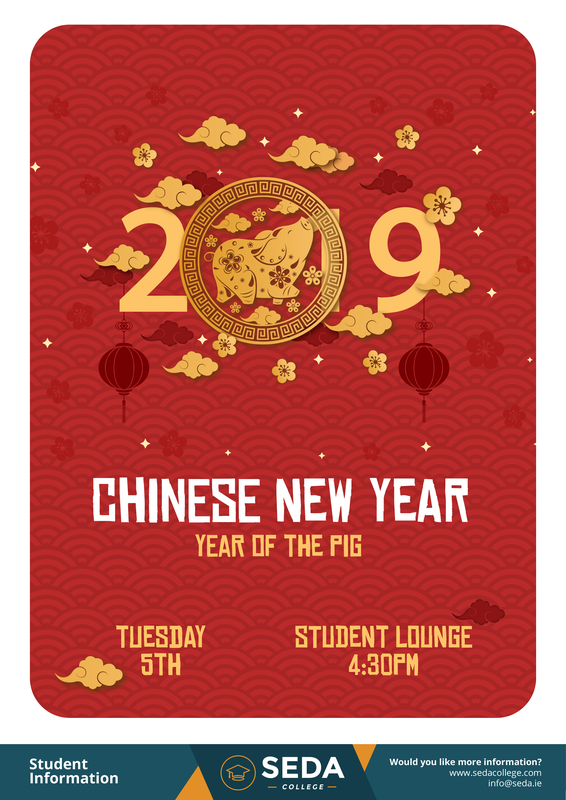 Our celebration will start at 4:30 pm in the Student Lounge on Tuesday 5th. 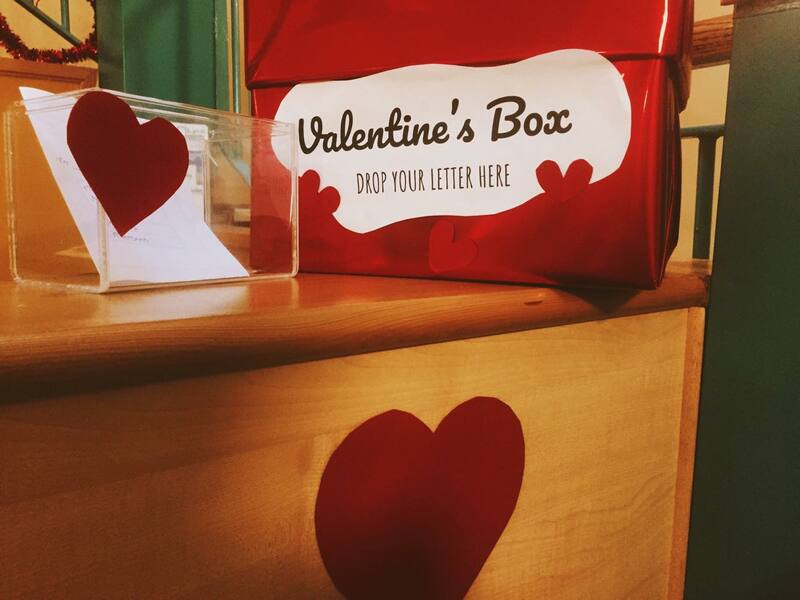 Sign up your names at reception. 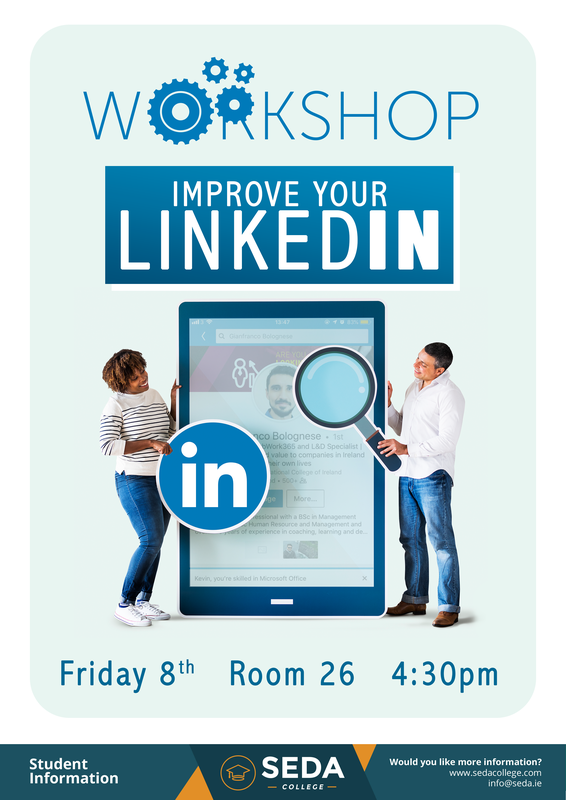 In this workshop, the students will have the chance to have their LinkedIn profile assessed by a professional who has a lot of experience with recruitment here in Ireland. 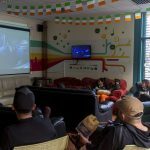 It’s a great opportunity to boost their social media and start applying for jobs afterward. It will be in room 26 at 4:30 pm on Friday 8th. 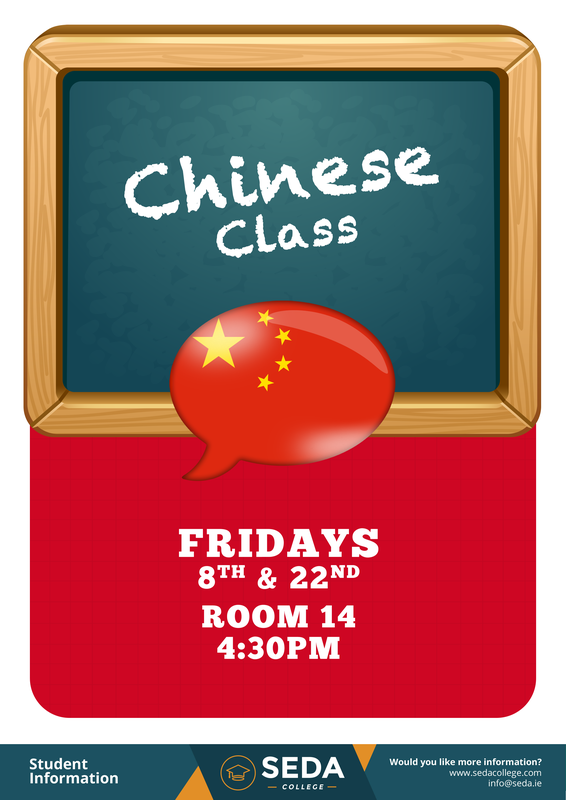 In order to match the month of the Chinese New Year, we decided to bring some Chinese classes. Enjoy this opportunity to learn this incredible and very challenging language. The classes will be in room 14 at 4:30 pm on Friday 8th and 22nd. Over the past three months, we had a Spanish Course, right? 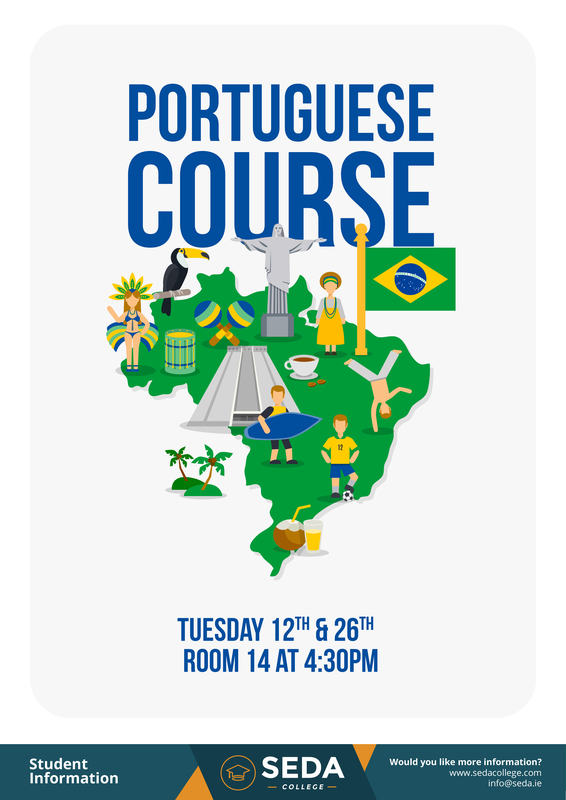 Yeah, and the results were so good that we decided to organize a Portuguese course for those who want to interact with Brazilians and also some Portuguese students that we have. The classes will be in room 14 at 4:30 pm on Tuesday 12th and 26th. Enjoy! In this workshop, the students will learn how to make some incredible pieces of clothing. It’s for free and they just have to sign up their names on the list at reception. 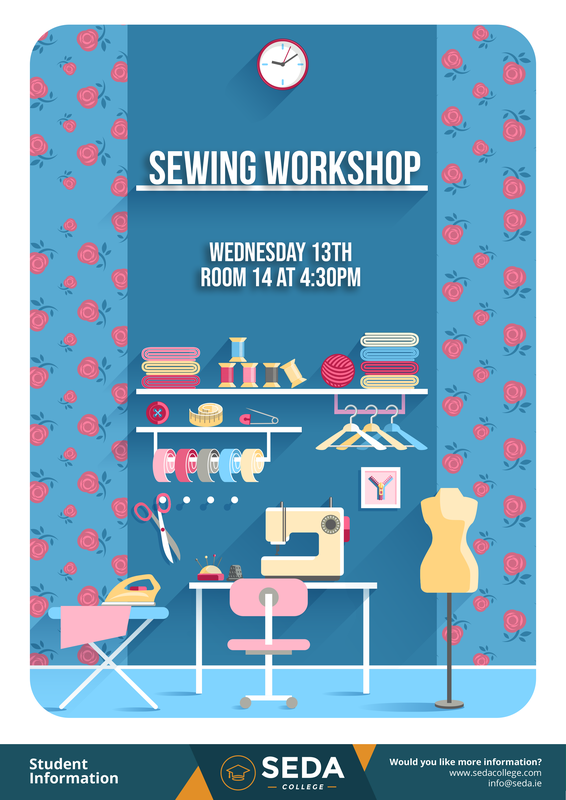 It will be on Wednesday 13th at 4:30 pm in room 14. This is a very important workshop for those who are looking for a job. 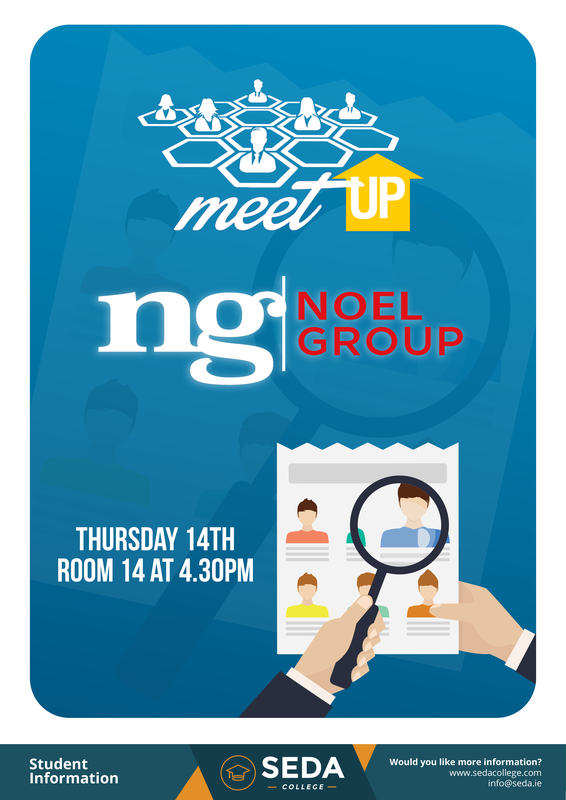 Noel recruitment is a group with a strong reputation in Ireland. So this is your opportunity to talk with people who will be able to help you out finding a job. It will be on Thursday the 14th at 4:30 pm in room 14. 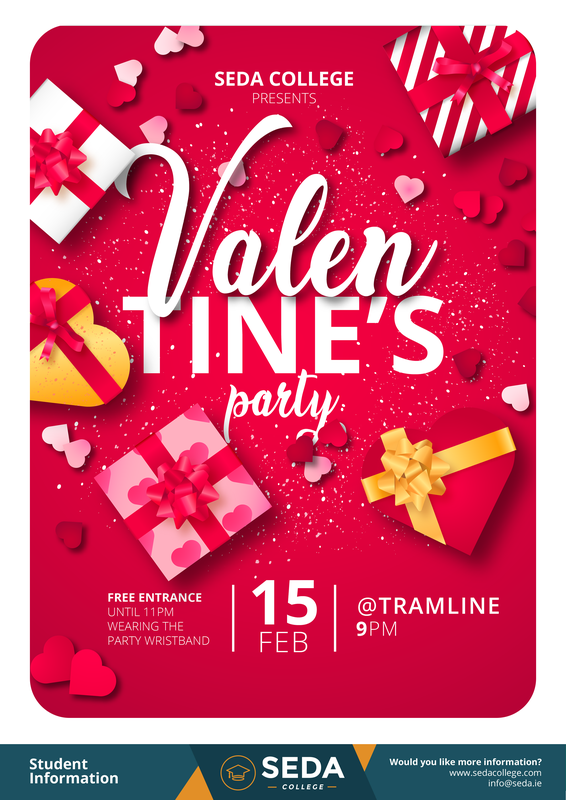 In order to celebrate Valentine’s Day, SEDA will throw a party at Tramline on Friday the 15th. It will start at 9 pm and the students will have free entrance until 11 pm if wearing the party wristband. We hope you enjoy this time of the year with people who make you feel good, because Valentine’s day is all about spending some good time with those who are especial for us. Happy Valentine’s day everyone. 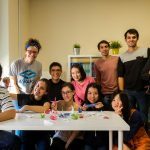 Do you want to learn English online with native speakers? Check our online platform and go for it!